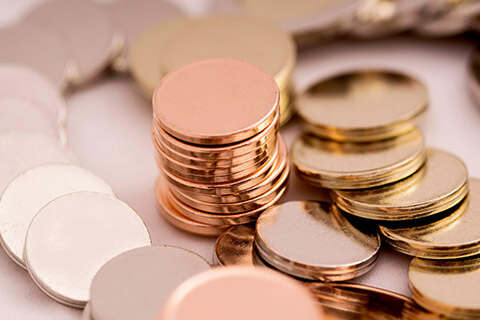 Epirus Metalworks is one of the leading manufacturers of coin blanks in Europe. 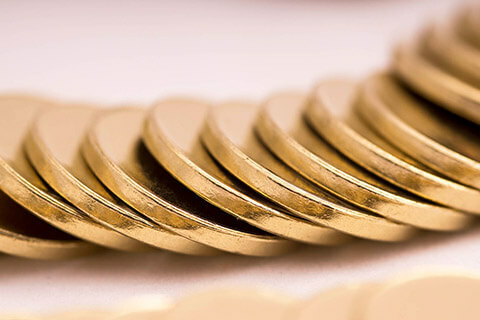 Its state of the-art manufacturing plant produces all types of coin blanks and rings for bi-colour coins. 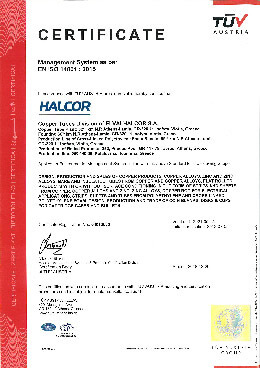 Previously a subsidiary of Hellenic Defense Systems S.A. (under the name of ‘Ipirou Metalworks Industry S.A.’), Epirus Metalworks is now part of ElvalHalcor’s Copper Segment, which has a track record of more than 80 years in producing an extensive range of copper and copper alloy products. The manufacturing plant is located in the north-western region of Greece, 60km from the historic city of Ioannina. It is equipped with the latest technology and its personnel is highly specialised and qualified. 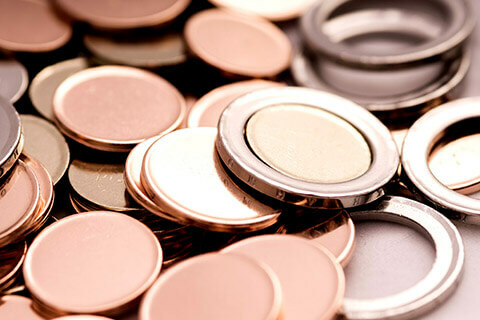 The Company’s long history of investment in equipment, research and development and specialised training, is reflected in the high quality of its coin blanks. Building on this strong foundation, Epirus Metalworks has an ambitious growth strategy focused on expanding its product portfolio and production capacity. 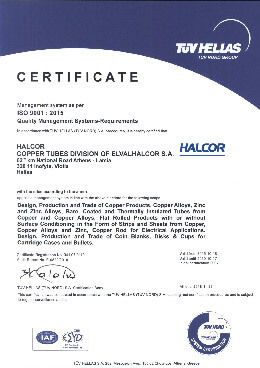 The Quality Management System applied, complies with ISO 9001:2015, the Environmental Management System applied complies with ISO 14001:2015 and the Energy management System applied complies with ISO 50001:2011. Epirus Metalworks was established in 1979, producing mainly military products such as case cartridge cups as well as copper strip in coils and coin blanks. In 1983, the Company was acquired by the former EBO S.A. – now EAS S.A. – at which point production expanded and the Company penetrated new markets including Portugal, France, Finland, Sweden, Thailand, Israel, Poland and Greece. In 1991, Epirus Metalworks launched a EUR 4.5 million strategic investment project which was completed in early 2001. The objective was to upgrade and optimise the existing machinery, as well as purchase new equipment, to increase the production capacity of all types of Euro coin blanks. Thanks to this investment, 65% of the initial batch of high-quality coin blanks produced was purchased by the Bank of Greece and subsequently used to produce Euro coins. Furthermore, 100% of the ﬁrst batch of high- quality inner and outer coin rings for the bi-colour 1 Euro and 2 Euro coins produced was also purchased by the Bank of Greece. 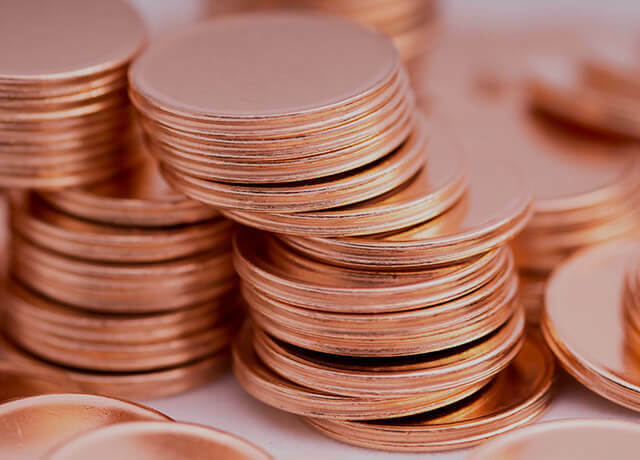 Epirus Metalworks has the ability to produce all types of coin blanks, as well as rings for bi-colour coins, according to any specification request, offering high-quality products with an extended after-sales support. 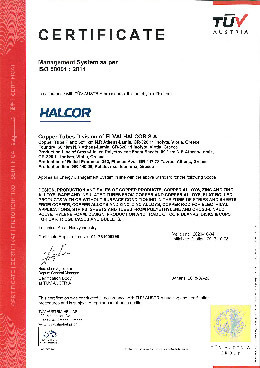 In 2018, ElvalHalcor S.A., a leading global industrial producer of aluminum and copper products, acquired all of its assets, including receivables, rights, signs, patents, logos, trademarks, brand name and all administrative licenses related to its operations, in order to further expand its product range and increase production capacity. ElvalHalcor’s strategic goal is to upgrade the Epirus Metalworks plant production capabilities, leverage its well-established international commercial network and capitalise on the synergies created through the takeover to boost export activities. The blanks are cut out from a strip in coil at the end thickness. The blanks are then cleaned and dried. The punched strip is chopped and recycled (factory scrap). The cut blanks are rimmed to obtain the most important parameters, such as diameter, rimmed proﬁle and edge form. The rimmed blanks are annealed under protective atmosphere. The produced blanks have the ideal conditions of hardness and grain size which allow an adequate minting process. At this stage the coin blanks are edge lettered. (e.g. 2 Euro Outers blanks for rings of bi-colour of 2 Euro coin). It is also possible with special tooling, to manufacture any type of security edge, according to customers’ speciﬁcations and requirements. This operation refers to the production of an outer ring which is achieving by eliminating the center of a normal monometallic coin blank thus obtaining a proper space to assemble in the same place another piece of a different metal. Alternatively, we have the ability to submit separated outer rings and inner blanks or assembled bimetallic (bi-colour) coin blanks. The annealed blanks are pickled, polished and dried to obtain a clean and bright surface ready for minting process. The blanks are inspected on both sides for any possible surface defect. At the same time, the dimensions (diameter, rim thickness etc.) of coin blanks are checked. Any defective blank is automatically rejected into a scrap container. The defective blanks are recycled (factory scrap). 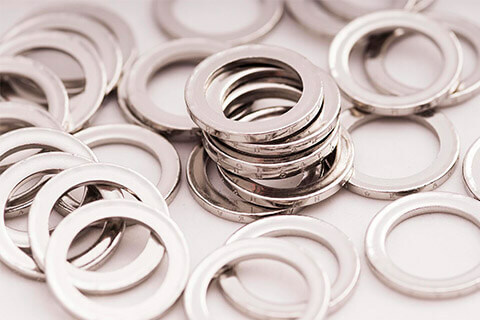 The inspected blanks are counted and charged to a protected packaging, avoiding moisture, oxidation and properly secured for land and sea transportation. We produce high quality coin blanks in a wide range of colors and material combinations. 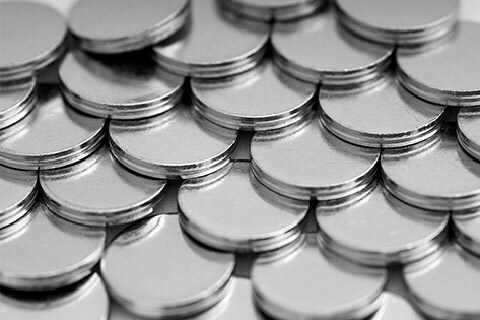 We supply coin blanks of the highest quality to fulfill our customers’ needs and requirements. As a responsible business, Epirus Metalworks creates value for its people, customers, suppliers, the local community, and society as a whole and also ensures that it minimises its environmental footprint. Epirus Metalworks is firmly dedicated to the principles of Sustainable Development (economic prosperity, environmental protection and social cohesion) and is a responsible, active business partner whose operations have a net positive effect on society as a whole. By continuing to use www.metallourgiki.gr, you are agreeing with our cookies policy.